Day seventy six of Project 365. Day 6 of the Puerto Rico Vacation. Today was a travel day. We drove to San Juan. I didn't get a chance to make many photos today. 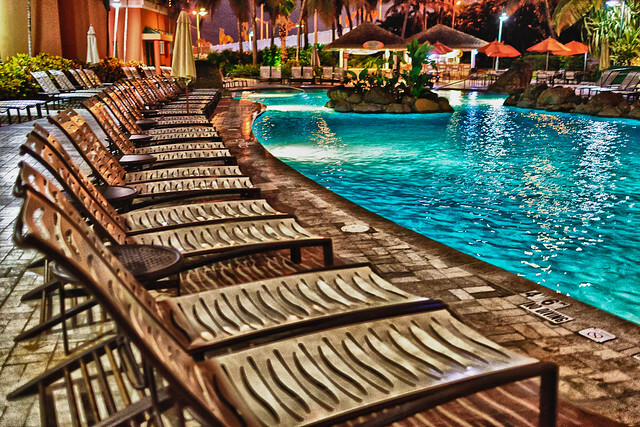 Here is a quick shot of the hotel pool after dark. Presented in HDR.